How do I add or invite a team member? Learn how to add a user and how to send an invite. You can add a new user by clicking on Users → Add User. In that screen you can define their Name, Email address, as well as the privileges they have in Paymo. After you click Save User, they will be notified by email and will be able to set their own password and login. Alternatively, you can invite a user when you create a project from the “Assigned Users” section. 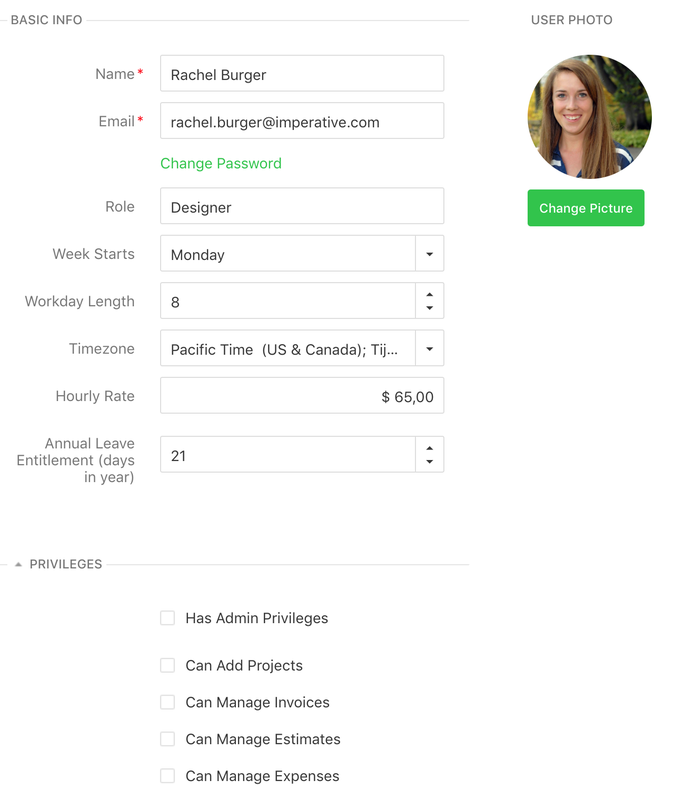 When you create a new project you can either assign existing users or invite and assign new ones. Note: During the 15-day trial period you can add users with no restrictions. After the trial period expires, you can’t add any new ones if the subscription doesn’t allow you. For example if you’ve subscribed for 10 users and you already have 10 active users, in order to add one more user you either archive an existing active user or modify your subscription to allow 11 active users in your account. When this happens you will be redirected to Subscription and Billing section in order to change it.